With a user base of over 430 million, LinkedIn is one of the most popular social networks around today. It is also one of the few, if only that is a career and network oriented social network. Not only does it give you suggestions of who to follow pertaining to your industry niche or skills, but it also tries to match you up with jobs. This definitely helps refine and filter available jobs that align with your skills and previous/current career. However, there is another way LinkedIn is used for matching you with the right job and that is employment recruiters. According to a survey conducted by Jobvite, nearly 93% of hiring managers search LinkedIn for potential recruits. Now you may be asking yourself, what can I do to stand out to hiring managers? LinkedIn Recruiters Milwaukee – The most important thing when it comes to getting your LinkedIn profile noticed is to make your profile public. That is rule number 1. Most people get so caught up with their pitch or tagline that they don’t think about how they appear in search results. Make your pitch more detailed and more concise. This will help when it comes to recruiters searching for potential candidates. Recruiters are also looking for candidates via zip codes. So, if your desired job is in a different state, change your location to that area. Keywords on your profile – When conducting a search, recruiters will often use specific keywords as opposed to buzzwords. They look for terms like “accomplished” or “built.” Using buzzwords such as “guru” may cause recruiters to immediately pass on your profile. When it comes to technology, no form of it is too old to mention or list as a skill. 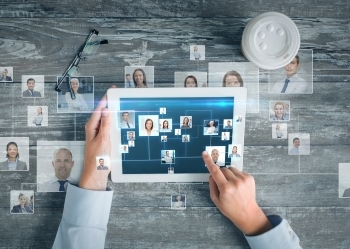 A lot of companies do not have the latest technology and your knowledge with their current tools may be very useful to the potential employer. Keep it Professional – You don’t want your profile pic to be a selfie or a picture of you partying. These will send out red flags to the recruiters. Another red flag are gaps in employment. Don’t be reluctant to fill in those gaps if you were in fact laid-off or if you did some consulting work or part time work in the mean-time. One of the most crucial tasks of any business is hiring a good manager and recruiters will use all means available to make sure they are choosing the ideal candidate for the ideal job. Here at The Lawler Group, we are some of the most experienced and professional recruiters Milwaukee has to offer. 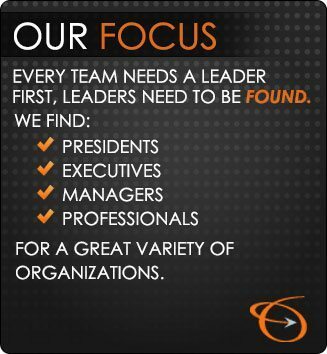 We help businesses nationwide fill leadership positions and we get results. For more information about hiring your next manager, Contact Us today!